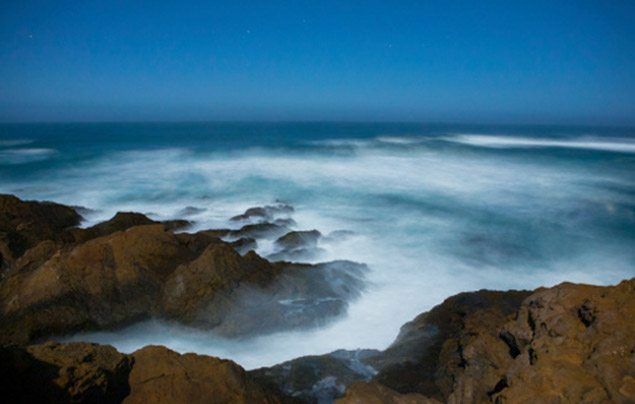 The oceans hold about 96.5% of all of Earth’s water and is one of the most amazing places on earth! Bursting with wildlife and teeming with mysteries to be solved, we’ve still only explored a tiny fraction. 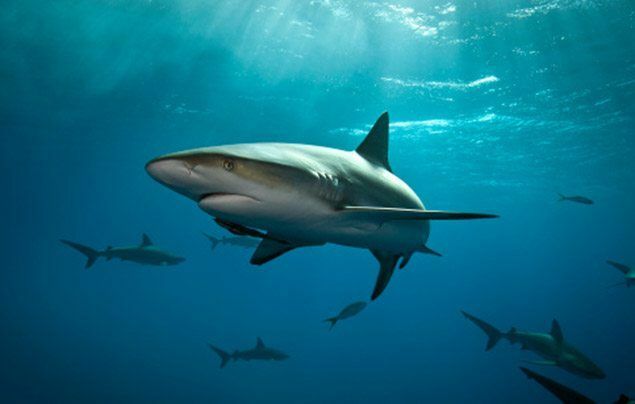 Take a deep breath, gang, as we dive into our ocean facts! Did you know that we have a FREE downloadable ocean ecosystems primary resource? Great for teachers, homeschoolers and parents alike! 1. Around 70% of the Earth’s surface is covered by oceans. 2. 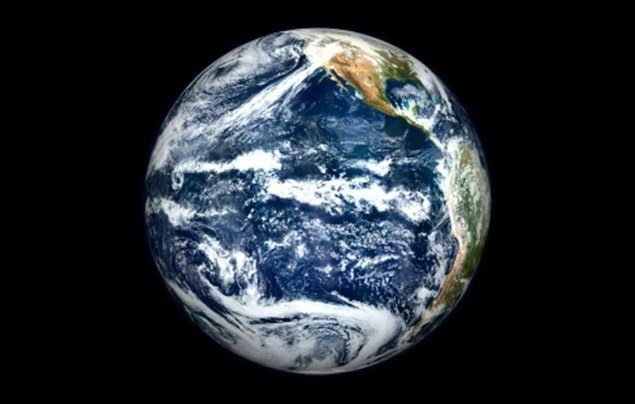 The largest ocean on Earth is the Pacific Ocean, covering around 30% of the Earth’s surface. 3. The name “Pacific Ocean” comes form the Latin name Tepre Pacificum, “peaceful sea”. 4. The deepest known area of the Earth’s oceans is known as the Mariana Trench. It’s deepest point measures 11km. That’s a long dive down! 6. The longest mountain range in the world is found under water. Stretching over 56,000km, the Mid-Oceanic Ridge is a mountain chain that runs along the centre of the ocean basins. 7. 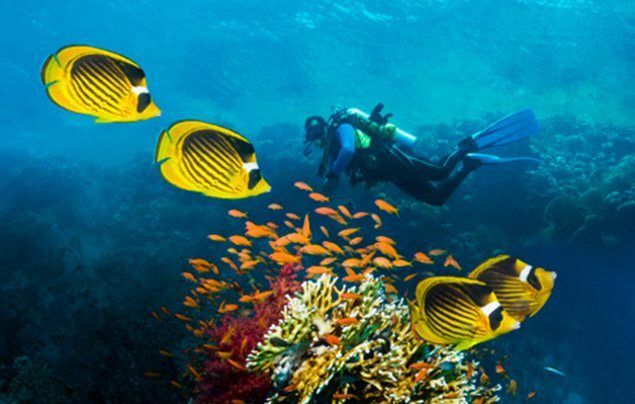 About 70% of the oxygen we breathe is produced by the oceans. 8. 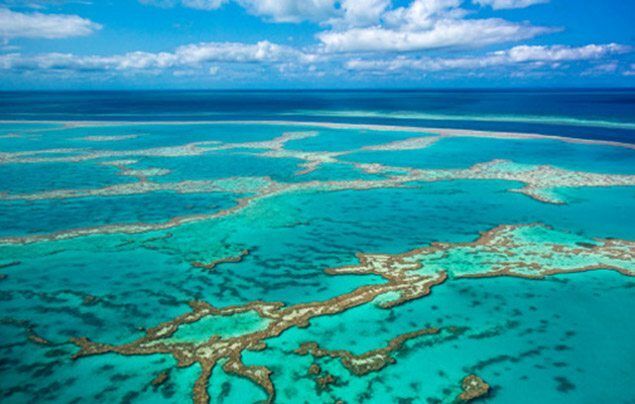 The sea is home to the world’s largest living structure – the Great Barrier Reef. Measuring around 2,600km, it can even be seen from the Moon! 9. We have only explored about 5% of the world’s oceans. There’s a lot more to be discovered! 10. The sea can be described as the planet’s mega museum. 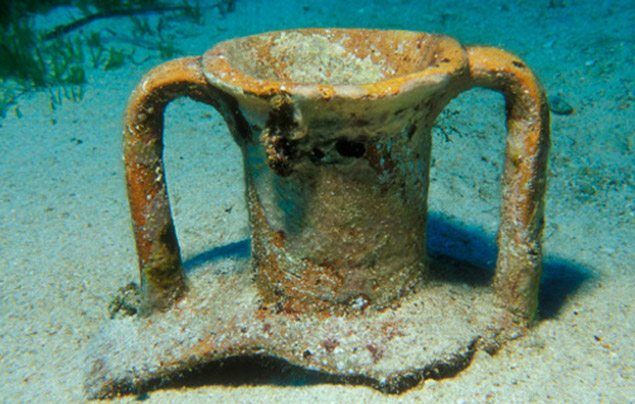 There are more artefacts and remnants of history in the ocean than in all of the world’s museums combined! Did you know that we have a FREE downloadable Plastic Pollution primary resource, all about protecting our oceans and sea life? Great for teachers, homeschoolers and parents alike! Did you enjoy our ocean facts? Let us know which one was your favourite by leaving a comment below! This article is awesome! It helped me with my project so much! I love your facts so much. Wow, I actually learnt a lot of things about the ocean, keep on making pages of this kind of work! I love geographic kids! its so fun! I love learning about the fish and the great barrier reef! I'm so glad you made this website, I'm going on it all the time now! Teach the ocean's s importance to future generations! This is so cool I didn't have a clue we got oxygen from the sea!!! i love the ocean. my favorite sea creature was defiantly DOLPHINS! who else loves dolphins!? Did we just explore 5%of the worlds oceans? That is crazy! Do you like my books? Heaps of help for ROSTRUM! really good facts and unlike other websites it is simple, interesting and fun. also it is all TRUE!!!! It helped me with my homework!!!!!!!!!!!!!!!!!!!!!!!!!!!!!!! wow. this helped me so much with school. we had to pic a land form and i piced oceans. thanks for the information it helped me a lot in my homework! This really helped me a lot because we are doing about oceans in geography at school!!!!! I love you Guy and girls. it was ok I guess. my planet doesnt have any oceans. So this doesnt interest me. I come from the planet Yasperdak. i love when the octopus disapears!!!!!!!!!!! Theyre are loades of pictures and facs and I love the videos. These ocean facts helped me a bunch with my ocean floor project for my Science class! These ocean facts helped me a bunch with my ocean floor project! Wow! i really need the facts! these are very good ones! My favourite was the one that said about the longest ocean and stuff! I really liked the hidden place of the octopus. THAT WAZ SO COOL ! We can help save the ocean!! That was the coolest video I HAVE EVER SEEN!!! I LOVE OCTOPUSES ! DOLPHINS ARE BETTER THOUGH!!!!!!!!!!!!!!!!!!!!!!!!!!!!!!!!!!!!!!!!!!!!!!!!!!!!!!!!!!!!!!!!!!!!!!!!!!!!!!!!!!!!!!!!!!!!!!!!!!!!!!!!!!!!!!!!!!!!!!!!!! 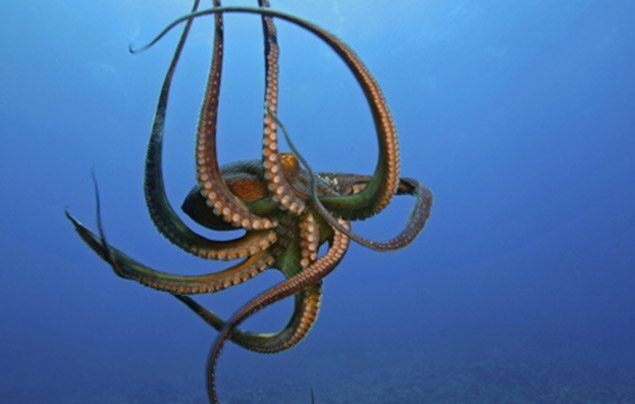 Do you know the scariest creature in the sea is a octopus. This is super awesome i love it. totally! it really helps me with my paragraph I love it! it could really help me with my paragraph! I wanted to go see if there is treasure down there! These facts are very interesting! I love sea turtles! This is really informative, I didnt know octopuss could camouflage that well! Omg this article was so informative and interesting! Awesome its like the octopus was never there. Very very useful and cool for my geography homework thank you!!!!! THAT WAS SO AWESOME.HE IS VERY CLEVER. Helped me with my homework! Love it!!! It helped me write my paper. thanks for the info I never knew that about 70% of the oxygen we breathe is produced by the oceans. I love this website!! Thanks soo much! !